Home Business intelligence	Why do we work with OKRs? Why do we work with OKRs? A couple of years ago we noticed that our way of setting up yearly and quarterly company targets wasn’t ideal. Often the goals we set up for ourselves at the beginning of the year were no longer valid after 3, 6, or 9 months because of changing markets, new business opportunities that crossed our path or due to other unforeseen circumstances. That’s why we started looking into working methods that other companies were using in order to set more realistic yet flexible company-wide goals. And that’s how we found out about the OKR method which is being used by, amongst others, Intel, Google, Amazon, Google and Spotify. 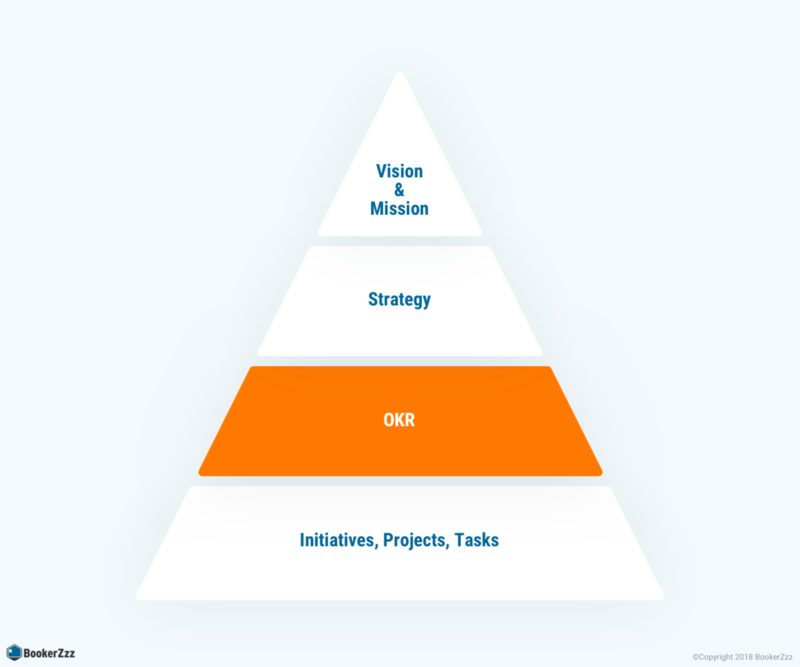 The abbreviation OKR stands for Objectives and Key Results. In a nutshell, the concept allows companies to combine larger goals with measurable results. The OKR method facilitates an easier and more efficient communication of strategic goals and clear focus areas for individuals, teams and the company as a whole. By defining objectives, key results and initiatives on a quarterly basis, companies see their output and efficiency increasing. And so did we! What are the advantages of working with OKRs? We have been working with OKRs for a while now. What we see is that the way we determine our plans for the next quarter is still something that we finetune and optimize every time. Our process of determining realistic goals is not perfect yet but I can say that we for sure were able to streamline processes, improve our communication and to increase our output. If you base your OKRs on your vision, mission and overall strategy, it becomes a lot easier to stick to your plans and to give your organization a clear focus. For us this means that the daily tasks of our employees are nowadays much more connected to our overall strategy. This way we get closer to reaching our vision day by day. OKRs allow you to remain flexible. You obviously have to have some sort of year plans but OKRs allow you to adjust the key results you want to achieve every quarter. This way you are able to take into account seasonal or market changes or other unforeseen circumstances. However, this only leads to a higher outcome if all teams and project groups are encouraged to evaluate their work after every quarter and to improve their plans accordingly. At BookerZzz we are often so full of action that we want too many things at once. Being too ambitious can also be a pitfall! By defining clear objectives and key results for the upcoming three months, we limit ourselves to these and this gives us clear focus areas and priorities. This means that we are all working together on specific issues which in turn leads to an increase of our efficiency and output. One of the biggest advantages for us was that our internal cooperation between teams and departments improved a lot. Unsurprisingly, a team consisting of a variety of specialists from different departments tackling a problem from various angles is able to reach better results… who would have thought? Lastly, another clear advantage of the OKR method is that motivating individuals and teams with desired results instead of a list of tasks leads to commitment. During the times that the management team was still presenting a yearly plan at the beginning of the year, we noticed that our teams listened nicely to what we had to say but that we were missing commitment from the bottom up. Nowadays, we all talk about the progress of the OKRs on a monthly basis and different stakeholders are encouraged to present the steps they have taken. You can feel that this leads to broader commitment throughout the organization. Are you thinking of working with OKRs as well? Do you want to know more about the OKR method in general? 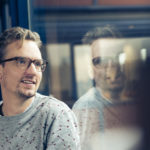 Check out this article about the way we implemented OKRs at BookerZzz that I wrote for Frankwatching [only in Dutch – sorry!]. Do you have specific question or remarks? Feel free to leave a comment. I am the CEO and one of the two founders of HotelSpecials and BungalowSpecials. I have a passion for entrepreneurship! How much did we raise for ALS Nederland?